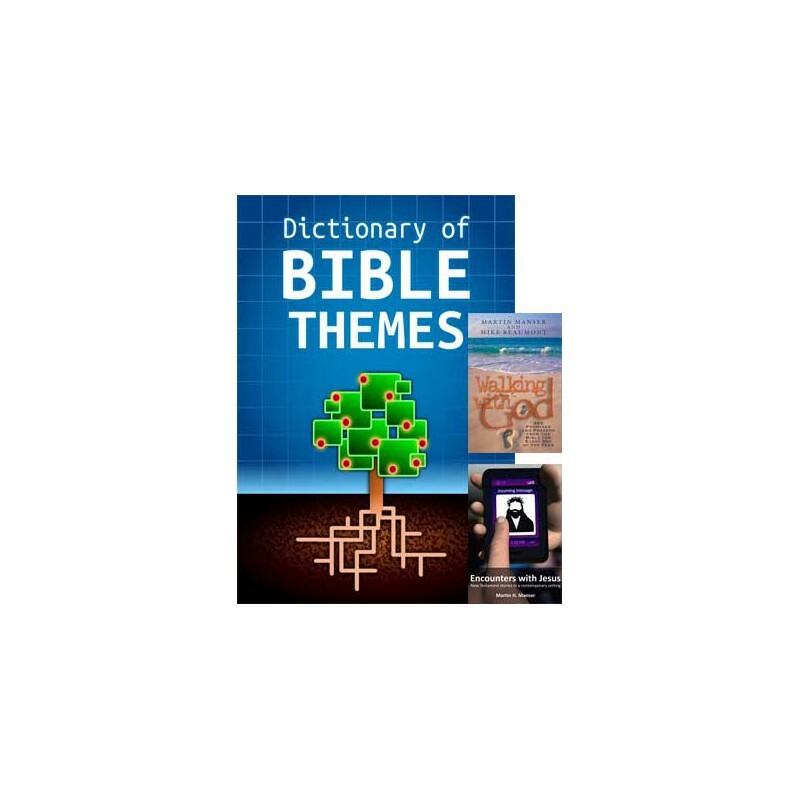 The Dictionary of Bible Themes is a comprehensive topical dictionary covers over 2,000 themes, giving explanations, key Bible references, and cross-references to related themes. Produced by the highly respected editorial team of Martin H. Manser, Alister E. McGrath, J. I. Packer, Donald J. Wiseman, J. Gordon McConville, and Stephen H. Travis. The Dictionary of Bible Themes is designed to give you an easy and enjoyable window into the full unfolding of the Bible's unity and richness by studying its central themes. With this unique and comprehensive topical dictionary installed in PC Study Bible, you can explore over 2,000 themes, through summary explanations, key Bible references, and cross-references to related themes. See the Dictionary of Bible Themes in action with PC Study Bible version 5.2. For larger viewing area, start the video and click the icon for 'full screen' viewing at the bottom right of the video viewer. Press the escape (Esc) key to return to your regular screen view. The Dictionary of Bible Themes was planned to allow its users to identify and explore the themes of Scripture such as God, Jesus Christ, the Holy Spirit, the human race, sin and salvation, the Christian life, the church and the hope of glory. With this title installed in your PC Study Bible library, simply open the passage you want to study and let the Dictionary of Bible Themes assist you in identifying each of the passage themes and launching into an in-depth study of how each theme is expressed throughout the rest of the Bible. If you already know the theme you want to study, find it fast through the alphabetically listed themes in PC Study Bible's Encyclopedia view. It's a quick way to find the theme/topic you're looking for, and participates with all of the other encyclopedias and dictionaries installed in your library. 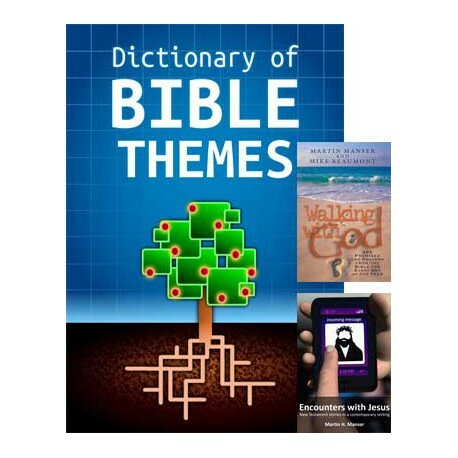 The Dictionary of Bible Themes also helps you to break down major Bible studies on God, Jesus, the Holy Spirit, creation, man, sin and salvation, the church and end times into themed study outlines. Each outlined point expands into an explanation section with a wealth supporting points, all with directly-related references, and "See also..." lists of cross references. It all adds up to a power-study tool you won't want to be without. Plus with this offer you receive two additional Martin H. Manser titles all for one low Biblesoft introductory price. Try the Dictionary of Bible Themes today and see for yourself how much search power and enjoyment it will add to your study times. New Testament stories in a contemporary setting: As children and adults, we often wonder what it would be like to have a little alone time with the flesh-and-blood Jesus of the Bible -- just like the ones we read about in His Word. Seeing the power of a good story to communicate spiritual truth, Martin Manser has taken 52 biblical accounts of people from all walks of life encountering Jesus and updated them to contemporary culture. Let your imagination run a little wild in considering what it would be to have a private dinner with Jesus, or being a high-powered corporate manager with the power to do just about anything but heal your young daughter. Enrich your own relationship with Jesus by envisioning the potential of meeting him for coffee, on your favorite walk, or even stuck in traffic and about to explode. Promises and Prayers for the Bible for Each Day of the Year, Compiled by Martin Manser and Mike Beaumont: Following in the footsteps of the Dictionary of Bible Themes, Walking with God presents 365 Prayers and Promises from the Bible developed to cover a wide range of biblical themes. In the authors' words, "Our aim is quite simple: to help you meet with God! He is the God of the promises. He is the God who inspires our praying. He is the One we can turn to in every situation in life: when we are puzzled, when we find it difficult to carry on, when we need guidance and help, and when we are just simply grateful. Each day’s reading begins with an opening verse from the Bible which we then consider in the main body of the text, closing with a final Bible verse. Sometimes other Bible extracts are also quoted, and every book in the Bible is drawn from over the year. We suggest that if possible you find a quiet place where you can let go of the busyness of life for a few moments and quieten your spirit to be still, to listen and to talk to God, as you think over and pray about what is in the day’s reading." Important user notes: When installed, your Dictionary of Bible Themes will be located by clicking Books and then General Books. The two other Manser titles will be located in Books, General Books and Works of Martin H. Manser. The Dictionary of Bible Themes was written with references to the NIV (pre-2011 version). If you wish to change the author intent on verse citations to your default Bible, go to "Options" in the upper menu, click "Preferences" then navigate to "Advanced" and "Qualified Bible Behavior." In the non-foreign language box, change the selection from "Author intent" to "Default version." The product images shown are from the publisher's print editions and device-specific applications. Biblesoft's release of the Dictionary of Bible Themes is for exclusive use in PC Study Bible Version 5.